&QUOT;KENSINGTON PRIDE&QUOT; IS THE NUMBER ONE COMMERCIAL VARIETY IN AUSTRALIA. THIS HEAVY BEARING MEDIUM SIZED TREE GROWS TO AN AVERAGE HEIGHT OF 15 - 25'. 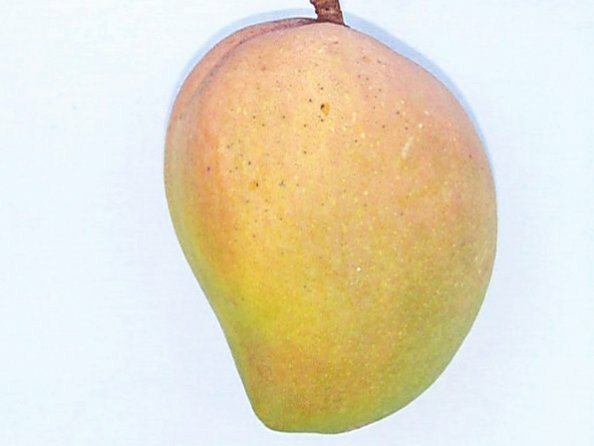 THE FRUIT IS SMOOTH AND COLORFUL WITH A BRIGHT YELLOW SKIN AND A RED BLUSH. THE LEMON YELLOW FLESH IS SOFT AND JUICY WITH A SWEET AROMATIC FLAVOR, AND JUST A SLIGHT AMOUNT OF FIBER. THE FRUIT IS CONSUMED RIPE OUT OF HAND AND IS ALSO WELL SUITED FOR PICKLES AND SWEET PRESERVES AT THE FIRM-GREEN STAGE. THEY TYPICALLY WEIGH 1-1.5 LBS AND RIPEN IN JULY.